The St. Johns River is the longest river in Florida. It is one of only a few rivers in the United States that flows from south to north. The river begins in the swampy areas 10 miles southwest of Melbourne, Florida known as Lake Hell 'n Blazes. The St. Johns has been part of Florida's history since the early days, and it passes through 18 different counties on its slow journey north to the ocean. Here are 5 Florida cities and towns that have been part of that history. 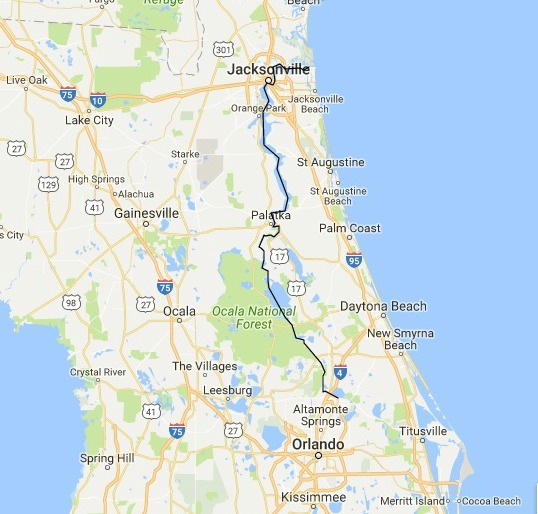 I've arranged them in the same order as you would see them if you are journeying upstream from the Atlantic Ocean southward to Sanford in the Orlando metro area. 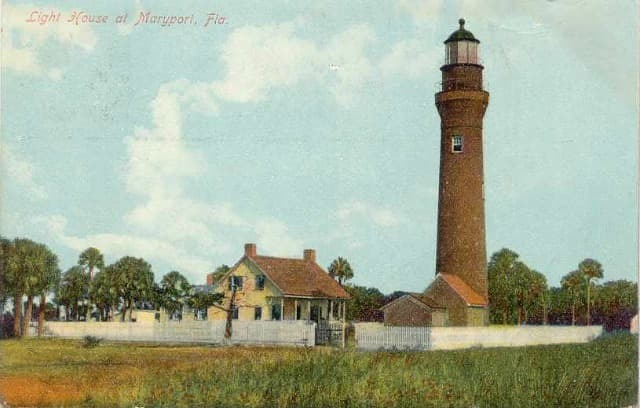 MAYPORT is located at the Atlantic Ocean mouth of the St Johns River. It is a working fishing village and its lighthouse was built in 1858. Click on the photo for more information. 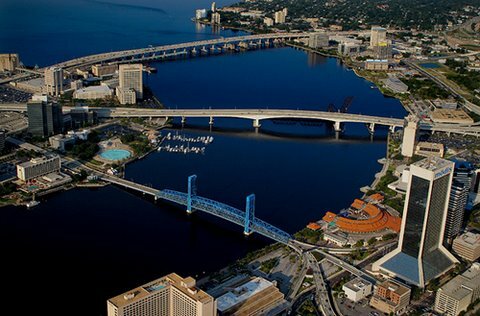 JACKSONVILLE is the most culturally southern large city in Florida and has been a major seaport since the earliest days. It is only 25 miles south of the Georgia border. Click on the photo for more information. 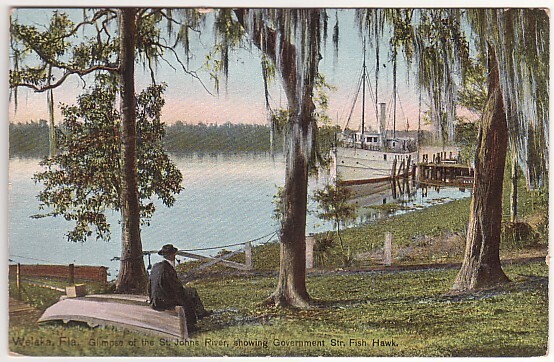 GREEN COVE SPRINGS is a quiet town that was an early resort for northerners. 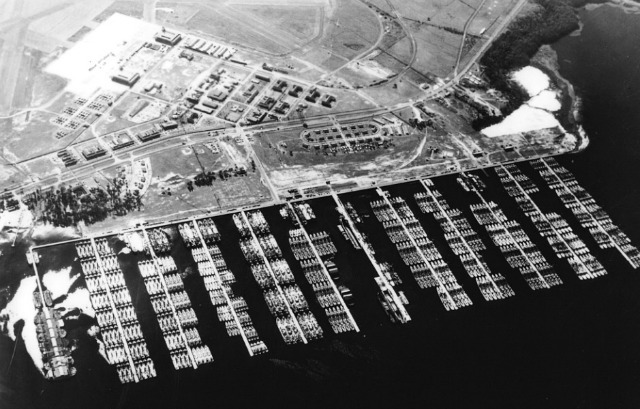 In 1947, 600 major U.S. Navy ships were mothballed at specially constructed docks on the river. Click on the photo for more information. 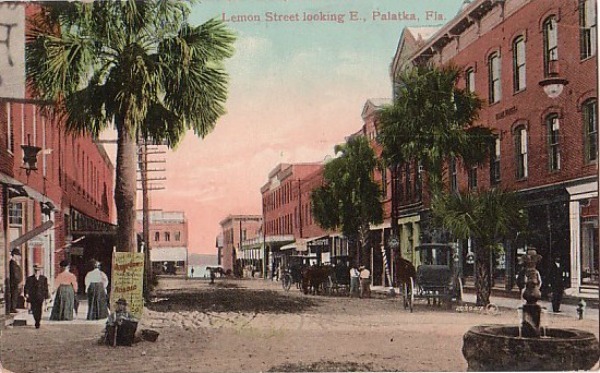 PALATKA is located at a sharp bend in the river that is the unofficial boundary between "upriver" and "downriver". Its name is derived from the Seminole word for "cow crossing". Click on the photo for more information. 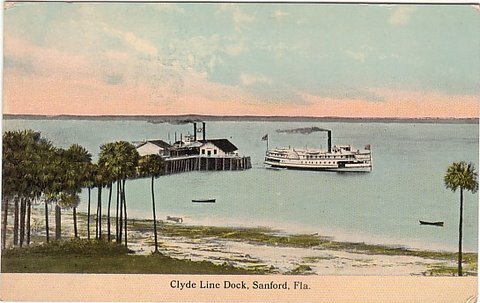 SANFORD is 22 miles north of Orlando on Lake Monroe, a wide spot on the St Johns River. The river gets shallow upstream of the lake. Sanford is a wonderful little waterfront city. Click on the photo for more information.